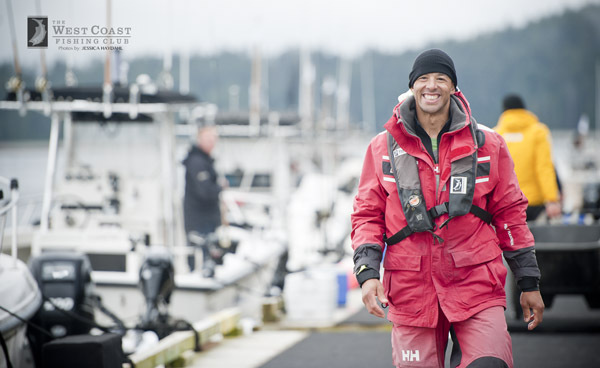 Manny Malhotra…the smile says it all for his first Haida Gwaii fishing expereince. 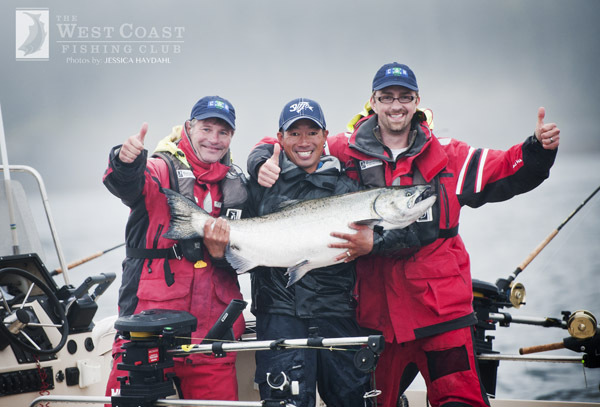 The morning bite was off with only a few fish being called in and nothing to rival Sean Salem’s 34 pound Tyee from the day before. Was there going to be an afternoon bite? A few fish started to get called in. 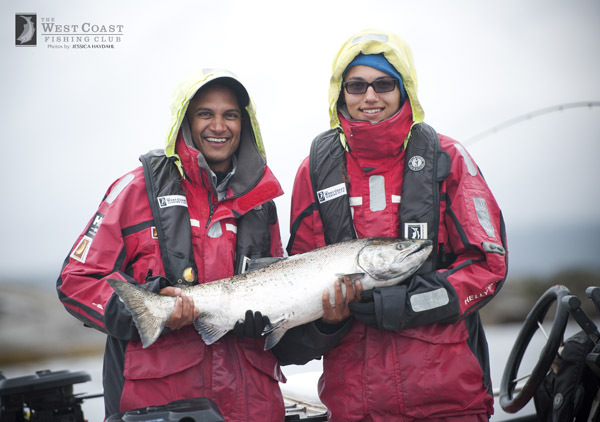 Nicholas Siqueria the Champion Child managed to get his first ever Chinook pictured here with father Edmund. 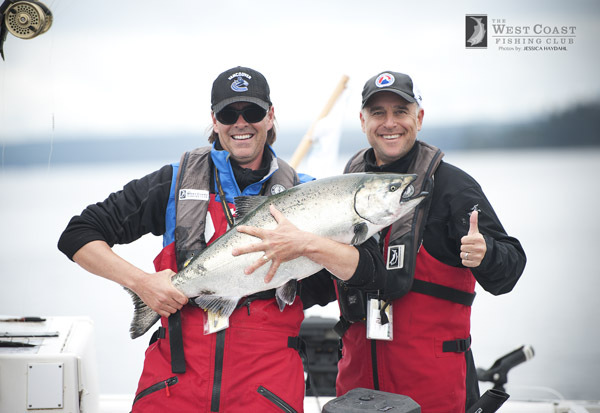 Perry Dom and Laurence Gilman pose with a nice one before release. With an hour to go they knew the had the winner! Picutred here is Paulo, Laurence Gilman, Mike Gillis, Brian Grange, Nicholas & Edmund, Mike Abbey, Manny Malhotra and Dan Hamhuis. 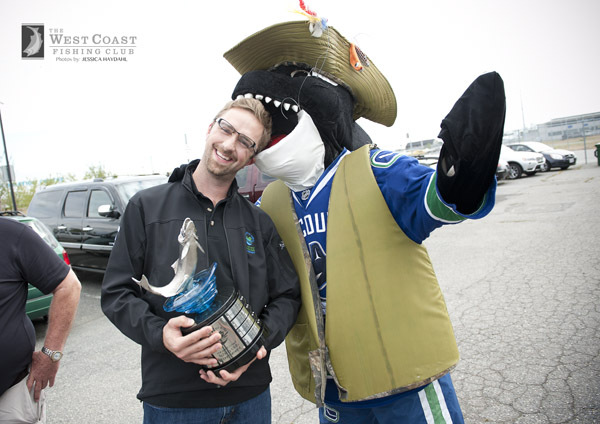 Back in Vancouver, as the tournament winner Mike got up close and personal with Fin. A spectacular event with a fantastic outcome that helps BC families and children dealing with Autism. 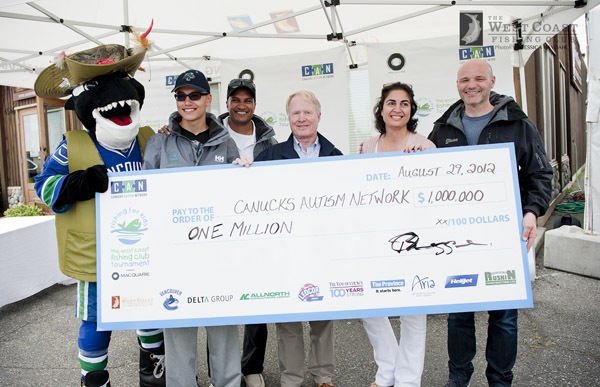 Pictured here is Fin, Nicholas, Edmund, WCFC President Brian Legge, CAN CEO Katy Harnandi and Canucks owner Paulo Aquilini. 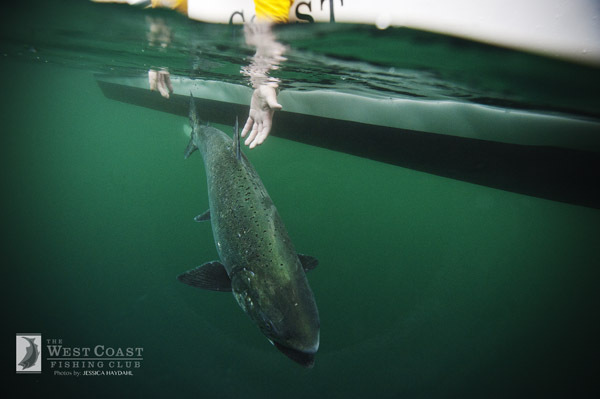 Thanks to all the participants, sponsors, WCFC staff, supporters and volunteers that made this event such a success.